Pro-(Positive) Choices - A toolbox contains more than a hammer, so shouldn’t your scenes contain more than anger and conflict? Find creative freedom when positive emotional choices drive your scenes. Guide your scenes forward without a need to conjure up an argument, defend your side of the story, or your need to have your ego intact at the scene’s end. It’s not about winning our losing---it’s about keeping the scene alive. With the two-day YOU masterclass you’ll enter the world of personal awareness and presentness, of the excitement of knowing what to do the moment the moment arrives! YOU are in charge, and this workshop will be a study of--and a practice of--you connecting to you. Then you get to work it out in performance! A “guided performance,” side coached and participated in by David. All those who take the Sat/Sun Intensive will get to perform in the Monday evening show, The Guided Performance. 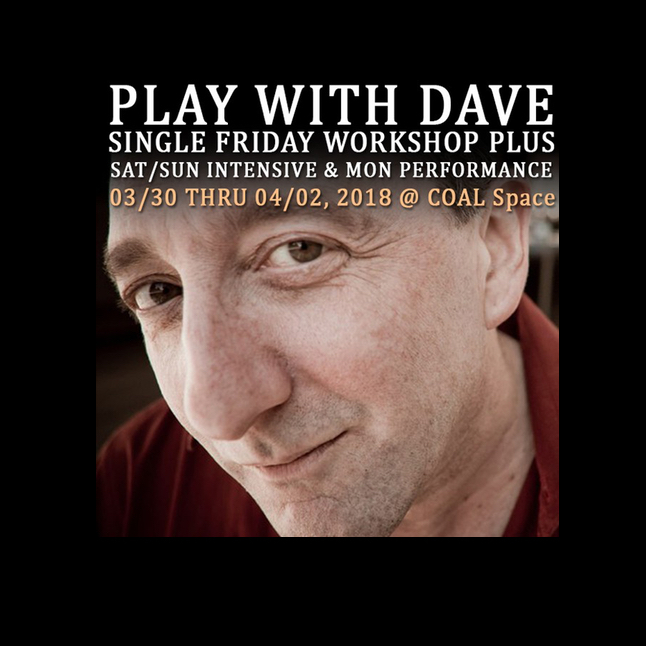 Performing in a show that’s directed by David Razowsky is a special event, particularly when David directs you while you perform. His gentle, direct “side coaching” has proven to benefit all improvisers who’ve joined him for these “Guided Improv Scenes.” This is an hour-long workshop/performance where a cast of actors will be lead through two-person scenes with David keeping the actors focused on their points-of-view, guiding them toward the “shiny objects,” following where the scene’s heat is and where the scenic surprises live. All this with a live house! The purpose of the Guided Performance is to get the actor up on her feet working the muscles we’ve built over the time we’ve been together. All info and workshop registration can be found here!